Painted on gallery-wrapped canvas. Wired & ready to hang. 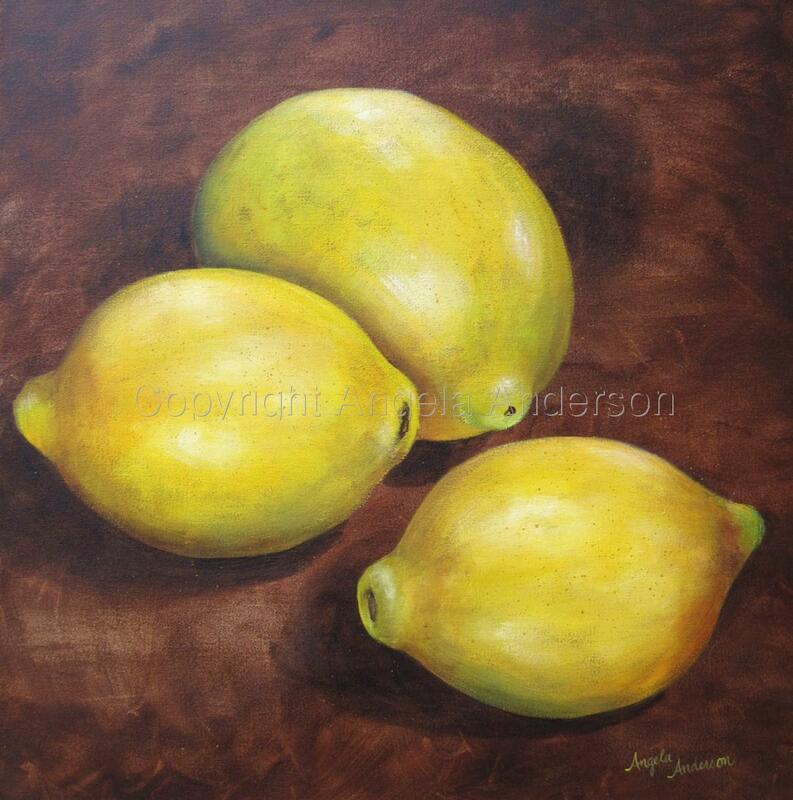 Bright yellow lemons on a dark chocolate background. Very striking contrast. Prettier in person. 5" x 5"8.125" x 8"11.125" x 11"14.125" x 14"17.125" x 17"20.375" x 20.25"